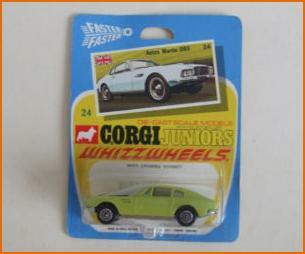 In 1970, the British toy car manufacturer Mettoy Playcraft Limited, producer of the famous « Corgi Toys » decided to rename its ageing Husky range « Corgi Juniors ». 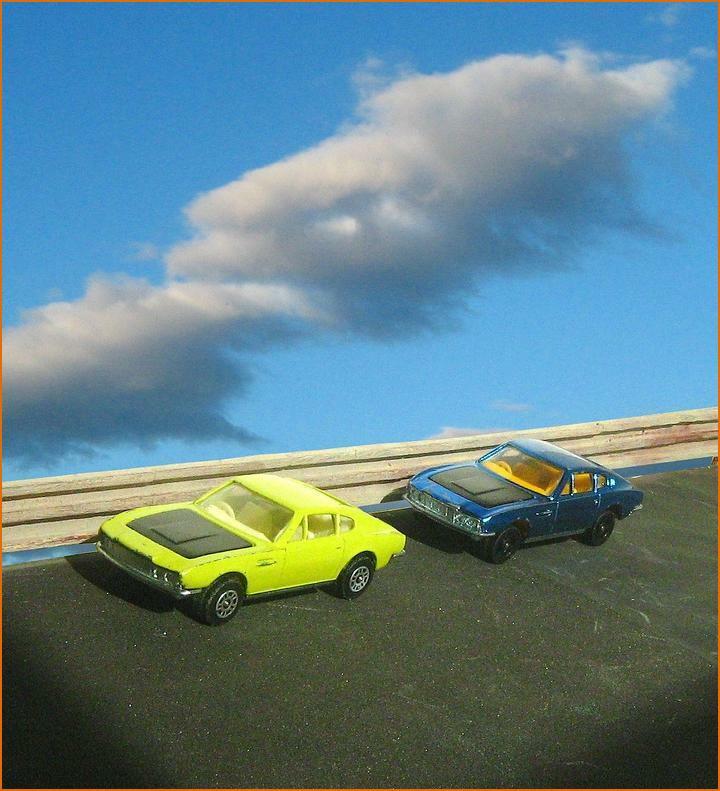 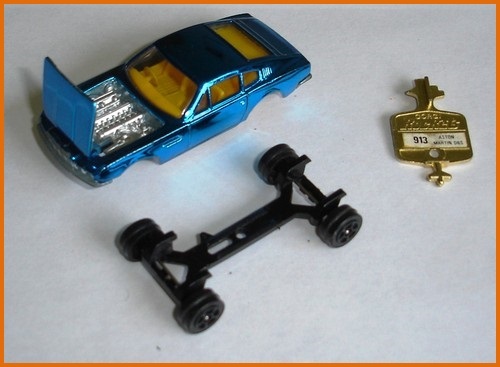 The 1/64 size cars were equipped with the all-new fast wheels called « Whizzwheels » designed to compete against the Hot Wheels produced by Mattel Inc. and Matchbox Superfast miniatures made by Lesney Products & Co. Ltd. 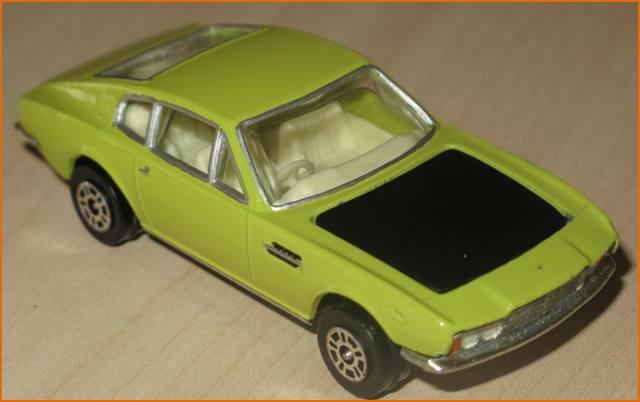 The first DBS model was a yellow car with black bonnet with the reference number 24-b1. 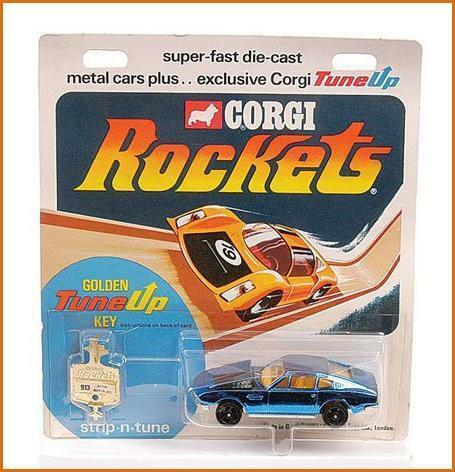 It was only produced for a short period and is now highly collectable. 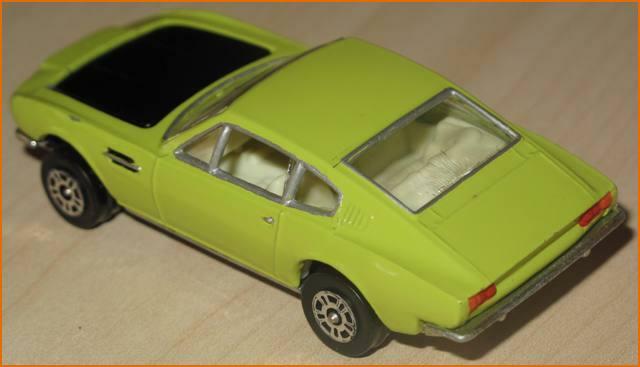 There also exists a light green version of this car, which was produced in even smaller numbers than the yellow version and which is also highly sought after by collectors. 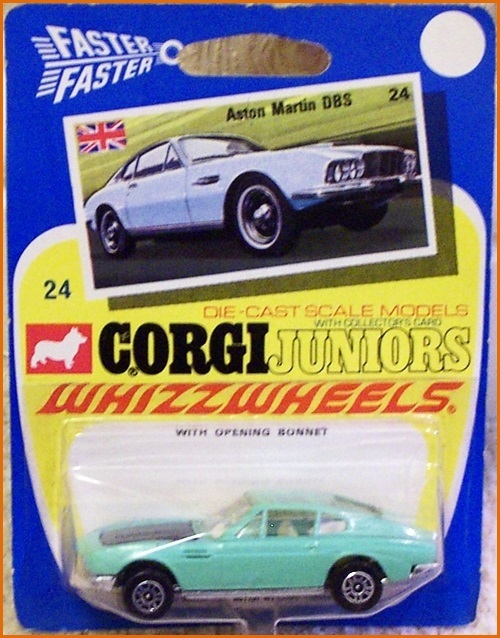 As well as producing Corgi Juniors, in October 1969 Mettoy decided to launch a new range of toy cars called Corgi Rockets. 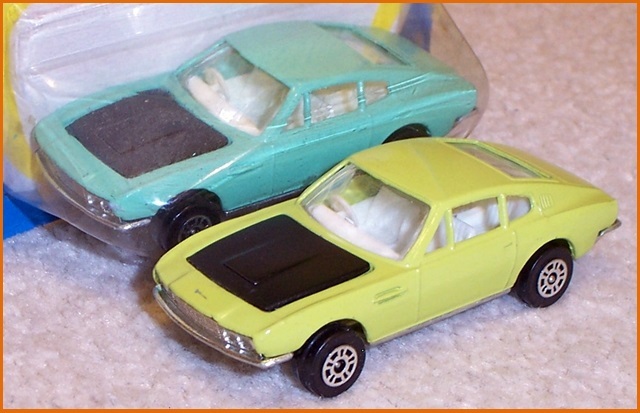 They were designed to rival Mattel and Lesney by including more details. 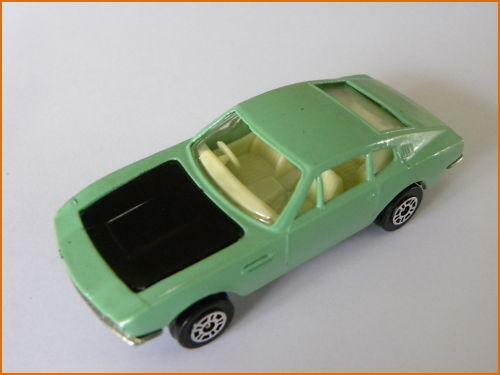 The metal base was equipped with a black plastic exhaust pipe. 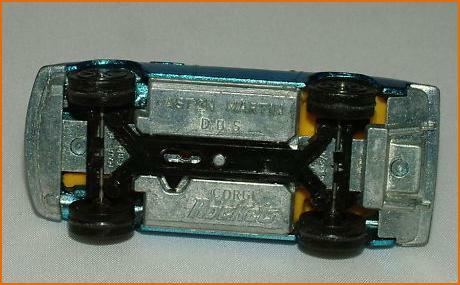 The chassis could be removed by using a key which could also allow for a broken axel to be replaced. 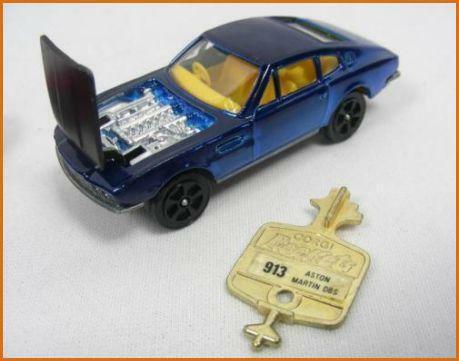 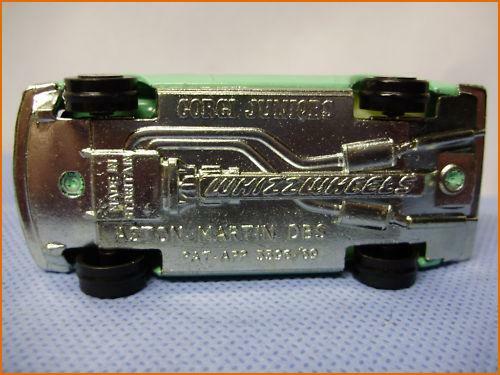 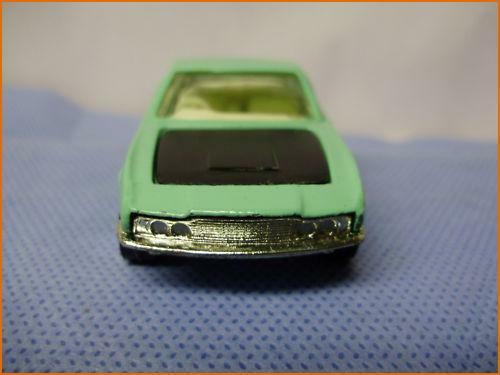 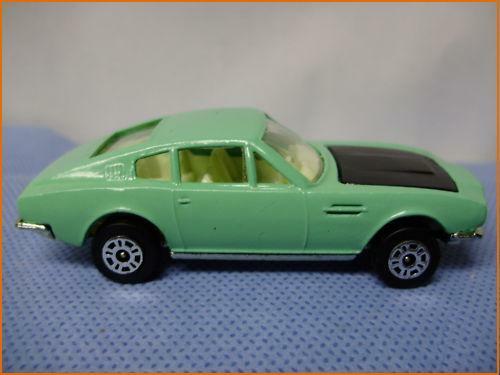 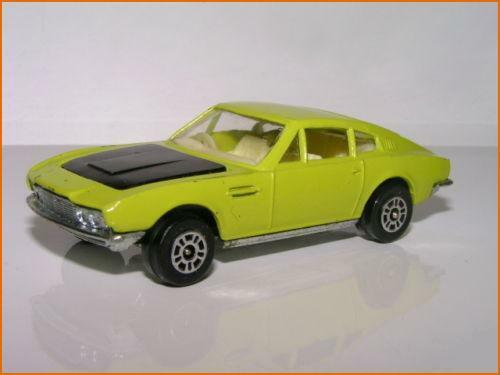 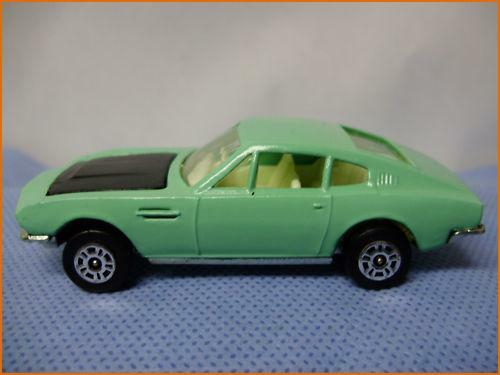 Each Corgi Rocket was sold in a box with a plastic window and with its so- called « Golden Tune Up Key » in this case inscribed with the words “Aston Martin DBS”. 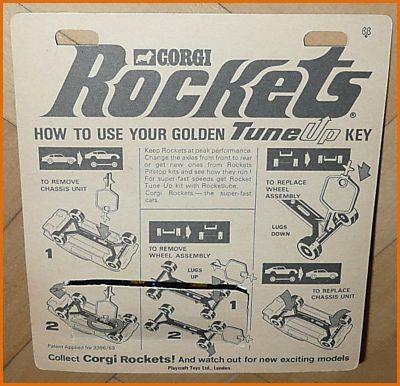 A special tub of axel lubrication oil was also provided in the form of a pen and described as « Rocketlube ». 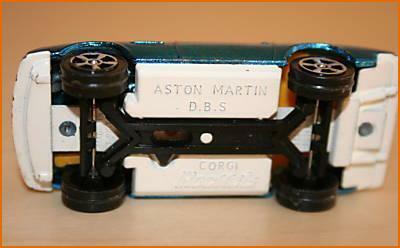 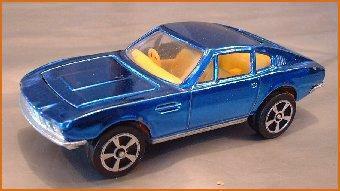 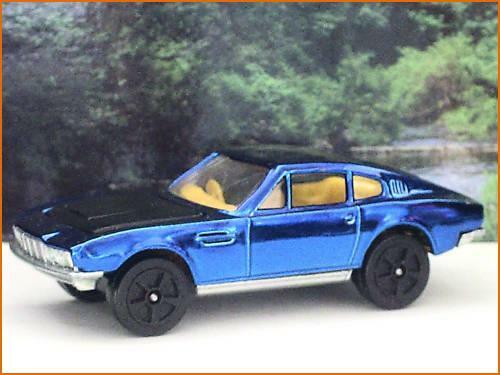 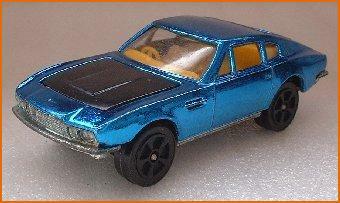 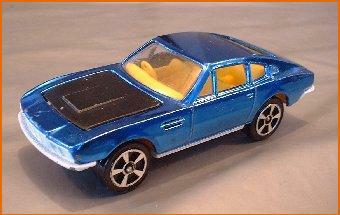 The Corgi Rockets Aston Martin DBS was sold as reference number D 913, and was painted in bright metallic blue.